I just love looking at photos of Dioramas and even more so when they are framed in Panavision WIDESCREEN aspect ratio just like the real movie 🙂 Doesn’t it give the figures an extra OOMPH ? It makes me smile everytime :). When you look at Daniels diorama in regular hd view (CLICK HERE TO GO TO THAT PAGE) and then come view his work in widescreen it just pushes his already amazing diorama into another level. 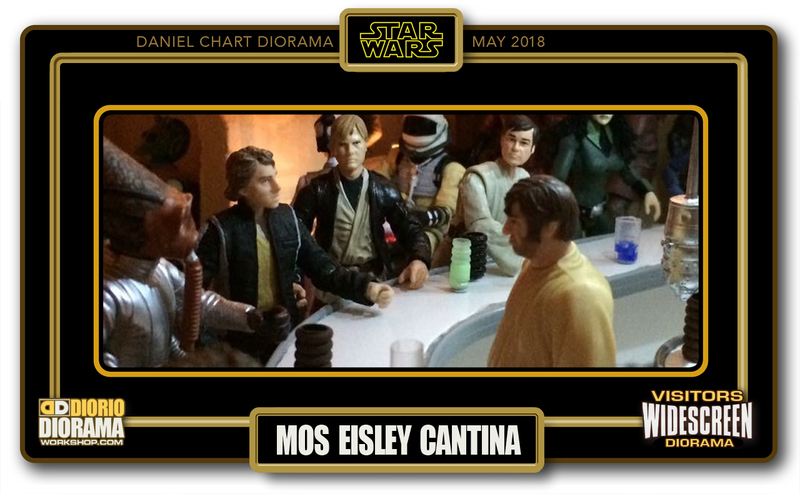 I just love this, I hope that when I make my own Cantina, it can look as good as this. Amazing. Frank.